Mosquito treatment cost may vary by company. 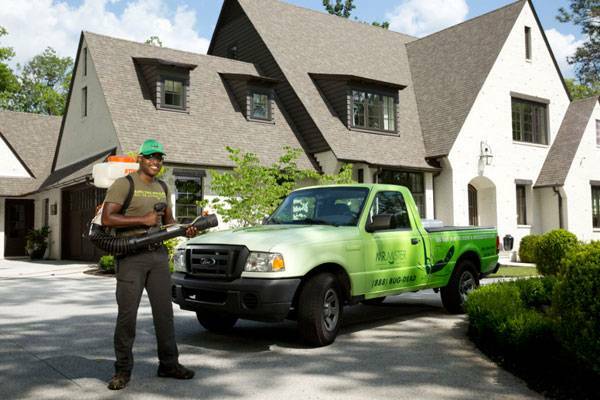 However, if you’re looking for mosquito control in Atlanta, Mr. Mister has an incredible service for mosquito treatment called ClearZone Mosquito Misting Service; and it’s very affordable for the Atlanta homeowner. We get asked a lot: “how much does a typical ClearZone mosquito treatment cost?” The answer isn’t as simple as you may think, however. The truth is, each property is unique and here at Mr. Mister, we always customize each barrier spray application in order to successfully treat your specific mosquito problem. With that being said, our mosquito treatment cost varies, and is typically determined based on a few factors, including the density of foliage, size of your property, and the amount of our 100% biodegradable spray that we will need to use for treatment. You can always contact us any time for a free quote, as we typically won’t even need to visit your property in order to come up with a mosquito treatment cost. Our professionally trained agents will be able to take your property address, look it up using our special computer software, and thoroughly assess your property size in order to give you a 100% accurate quote. If you’ve never heard of ClearZone before, and aren’t aware of the possibilities that it provides when it comes to a mosquito-free yard for you and your family, we encourage you to read on. From Mr. Mister, comes ClearZone: a mosquito misting service that effectively makes all of the outdoor spaces around your home or property mosquito-free. Just one of 2 innovative methods for at-home mosquito control in Atlanta from Mr. Mister, ClearZone mosquito misting service sends a professionally trained mosquito repelling technician to your yard for a recurring treatment. This technician will adequately distribute Mr. Mister’s patented (and 100% biodegradeable) misting spray around your outdoor spaces, where it will then stick to the underside of outdoor furniture and foliage — controlling mosquitoes for a guaranteed three weeks (or 21 days). If you and your family are constantly being plagued by mosquitoes whenever you’re outside your home during the warmer months of the year, then it’s imperative to act fast in order to control the population of these disease-carrying pests. 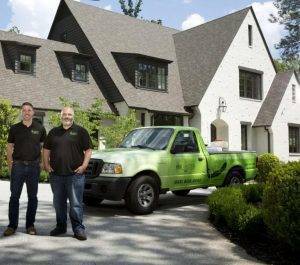 This is what makes ClearZone such an incredible and appropriate service for every Atlanta homeowner: it’s incredibly easy to order and you’ll have a mosquito service professional at your home quickly. All you have to do is fill out the form on the ClearZone Mosquito Misting Service page and you’ll receive a free quote within minutes. Once this has been done, you simply set up a time for treatment to take place, one that is most convenient for you, and you’re on your way to enjoying a safe, mosquito-free yard. When you choose ClearZone as your means for effective mosquito control, your yard becomes free of dangerous mosquitoes for three whole weeks. This is achieved through the use of the patented Mr. Mister mosquito control spray, which meticulously stick to foliage and other surfaces outside your home- creating an impenetrable barrier between the mosquitoes in your area and the perimeter of your yard. To top it all, the spray itself is 100% biodegradable, which means it will never create any lingering residues. This makes it significantly safer for homeowners with pets and children than store-bought mosquito repellents, which contain DEET (a substance known to stay on your skin for long periods of time). To find out more about ClearZone Mosquito Misting Service click here now!